An impractical yet expensive crossover can still be utterly desirable. 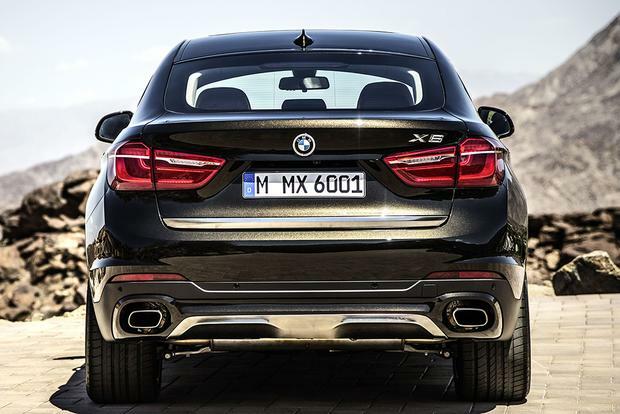 Just look at the super powerful 2018 BMW X6 M.
It takes a special confidence to compete in the premium midsize crossover scene as a \"4-door coupe.\" The 2018 BMW X6 has that quality. BMW finally has a 3-row luxury SUV -- and it's wonderful. 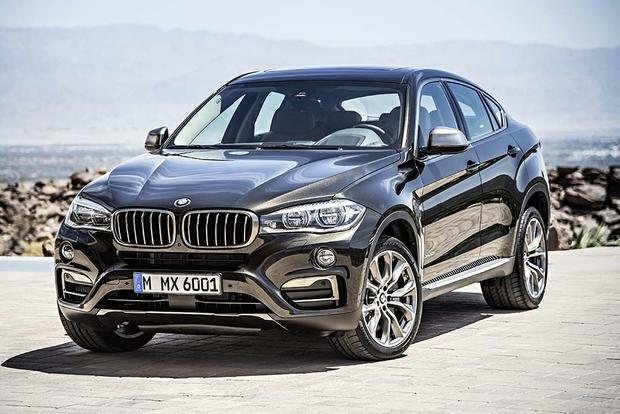 The 2015 BMW X6 proves that when it comes to luxury crossovers, bigger isn't always better. 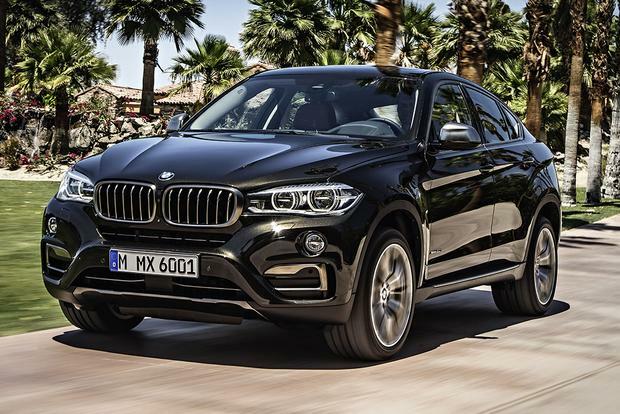 While its platform mate, the X5, has more cargo capacity, an available third-row seat and a lower base price, the fashion-forward X6 is still in demand. When the original X6 came out in 2008, the press didn't like its style-first philosophy and wondered who would want a heavy SUV with compromised versatility. But shoppers liked it so much that it's back for a second generation, offering familiar looks and performance along with a new rear-wheel-drive model and a seriously luxurious interior. The 2015 X6 is an all-new model. The rear-wheel-drive X6 sDrive35i packs a turbocharged 3.0-liter inline-6 engine that pumps out 300 horsepower and 300 lb-ft of torque. An 8-speed automatic transmission handles the shifting duties. According to the Environmental Protection Agency (EPA), the X6 sDrive35i returns 19 miles per gallon in the city and 27 mpg on the highway. The all-wheel-drive X6 xDrive35i has the same powertrain and nearly the same fuel economy, too, checking in at 18 mpg city/27 mpg hwy. 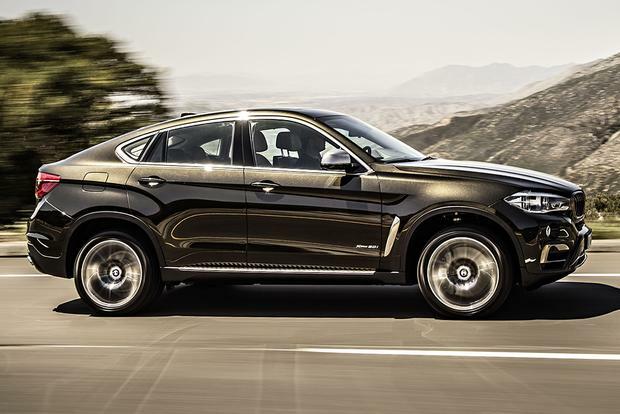 The X6 xDrive50i pairs the 8-speed automatic with a turbocharged 4.4-liter V8 rated at 445 hp and 480 lb-ft of torque. Fuel economy drops to 15 mpg city/22 mpg hwy for this model. The 2015 X6 comes in three trim levels: sDrive35i, xDrive35i and xDrive50i. The base sDrive35i ($60,550) comes standard with such features as 19-inch wheels, adaptive xenon headlights, LED fog lights and taillights, a sunroof, a power liftgate, front and rear parking sensors, a digital instrument cluster, a power-adjustable steering wheel with paddle shifters, driver memory settings, adjustable drive settings (Driving Dynamics Control), 10-way power heated front seats, leather upholstery, dual-zone automatic climate control, Bluetooth phone and audio, a USB port, a 9-speaker audio system and BMW's iDrive infotainment system with a widescreen 10.2-in display and navigation. The xDrive35i ($62,850) is similarly equipped and adds all-wheel drive. The xDrive50i ($73,850) upgrades to the V8 engine, a hands-free power tailgate with a foot sensor, keyless entry and start, 20-way multi-contour front seats and a rearview camera. As usual, BMW has whipped up an extensive options list for the X6. Highlights include LED headlights, an aero body kit, 20-in wheels, sport-tuned adaptive dampers with a rear-axle air suspension, a self-parking system, power-closing doors, a leather dashboard, ceramic-trimmed controls, ventilated front seats, a heated steering wheel, heated rear seats, two 16-speaker audio systems (mild Harman Kardon and spicy Bang & Olufsen) and a rear entertainment system. Rear-seat comfort in the current X6 is significantly better than in the first generation, as BMW made it a priority to accommodate larger passengers in the back. The bottom cushions have a pleasant upward tilt that provides welcome thigh support, while headroom is quite good considering the X6's fastback roofline. Less impressive is the cargo area behind the X6's rear seats, which measures 20.5 cu ft., a very modest figure for a sizable crossover SUV. Folding down the 40/20/40 split rear seatbacks opens up 53.9 cu ft., another humble measurement. The 4-door Volkswagen Golf hatchback has essentially the same amount of space. 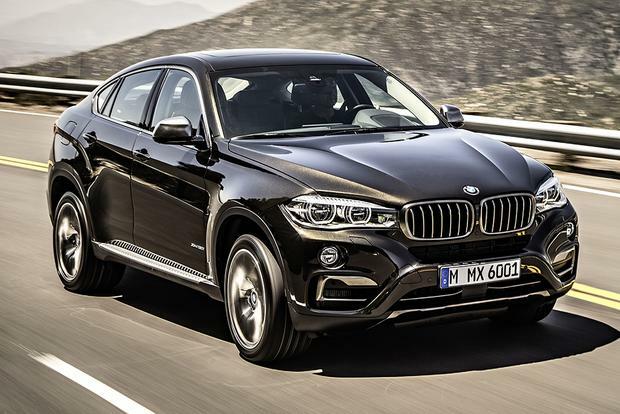 The X6 comes standard with stability control, 4-wheel anti-lock disc brakes (with automatic collision-preparation) and six airbags (front, front-side and full-length side-curtain). The optional Driver Assistance Plus package includes a head-up display, a 360-degree parking camera system, a blind spot monitor, lane departure warning and a frontal-collision warning system with low-speed automatic braking. Adding adaptive cruise control brings a frontal-collision warning system with driver alerts. 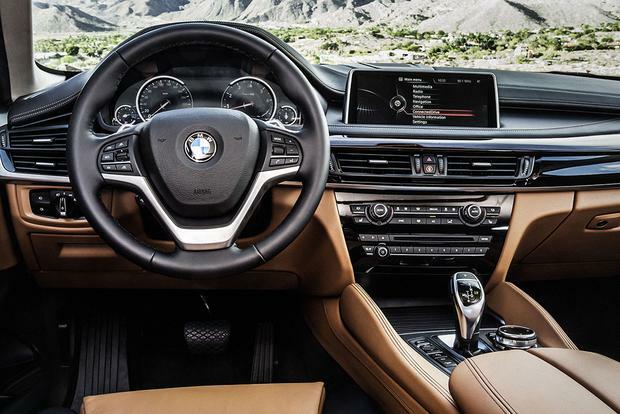 The 2015 BMW X6 largely shares the X5's dashboard and control layout, and that's a good thing. The digital instrument cluster is crisp and comprehensive, with a rapid refresh rate that enables the needles to keep up no matter how quickly you're accelerating. 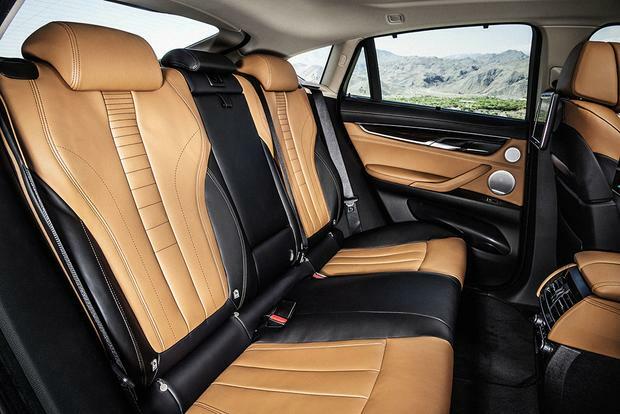 BMW has created a vaguely coupe-like feel with the X6's slightly lower seating position, but you still get a commanding view of the road, and you also get world-class comfort and support with the available multi-contour front chairs. On the infotainment front, the iDrive system has improved steadily through the years. The X6 gets the company's top system with a beautiful widescreen display, navigation, hard-drive music storage and an advanced controller with touchpad functionality. On the road, the 2015 X6 is inescapably large, but BMW's engineers have worked their usual magic with the steering and suspension. 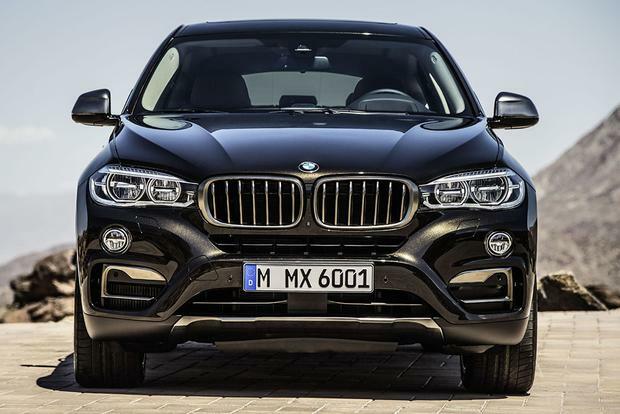 For a crossover weighing between 4,600 and 5,200 lbs, the X6 feels astonishingly nimble, with precise handling and excellent body control. Although the ride is reasonably supple with the standard suspension, we highly recommend the optional adaptive dampers for their blend of plush comfort and sporty composure. We're also big fans of the xDrive50i's otherworldly twin-turbo V8, which yanks the X6 to 60 miles per hour in a mere 4.6 seconds; it feels right to have a profoundly powerful engine in such a heavy vehicle. Still, the standard inline-6 is no slouch, and it gets significantly better fuel economy. 2015 BMW X5 -- It's only natural to compare the X6 to its sibling, and the X5 has a lot going for it, including relatively generous cargo capacity and an available third-row seat. 2015 Infiniti QX70 -- The QX is perhaps the closest thing to an X6 on the market, boasting concept-car looks and available V8 power in a crossover body style. 2015 Porsche Macan -- With its pair of turbocharged V6 engines and sports-car handling, the athletic and attractive Macan might win you over. Used Porsche Cayenne -- Depreciation has brought a wide range of late-model used Cayennes into the X6's price range. We like the Porsche for its rare mix of practicality and performance. The xDrive50i's engine is absolutely worth the price of admission. Make sure you sample it if you're considering an X6.